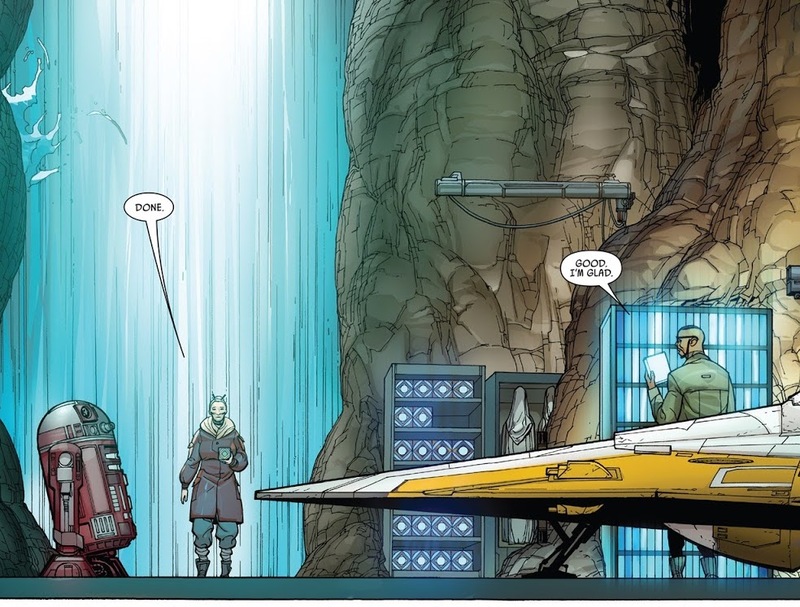 Luke Skywalker, Jedi knowledge, and Jocasta Nu all connect in Darth Vader #10 – AiPT! There are SPOILERS ahead. You’ve been warned. A big reason why I read Star Wars comics is because I know for a fact everything that happens in them is part of the canon. That means if Luke Skywalker interacts with a Sith I know this somehow factors into his darker turn in Return of the Jedi. Big reveals come every so often and this week Darth Vader #10 has a whopper of a reveal. Jocasta Nu is a Jedi appearing in this series who also has a long history in the films and cartoons. This series has revealed she’s continued her duties as Chief Librarian of the Jedi Archives post Star Wars: A New Hope and that includes rebuilding them from the ground up. As you can see in the image below, the process is going pretty well, but must be done carefully/under protection. 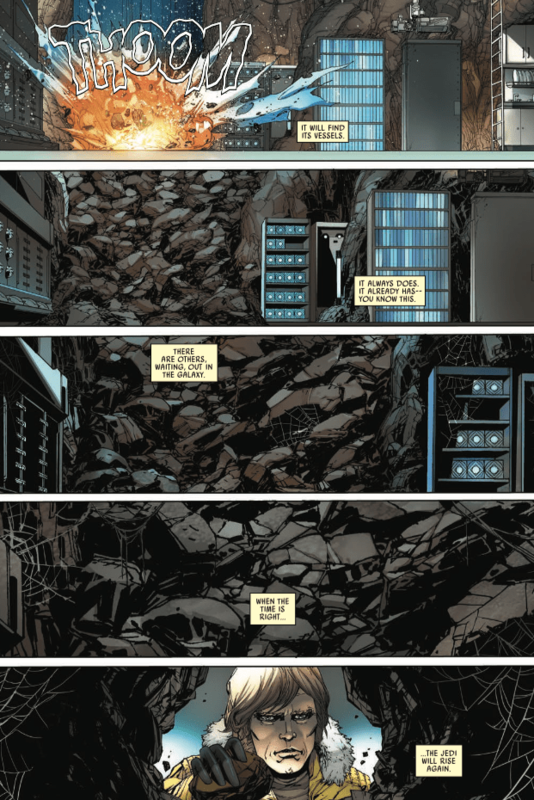 In the very next page we see the main access point was blown up to protect the files from ever being destroyed by the Sith. But if we scroll down we see a familiar Jedi who could use this library. One has to assume this is how Luke becomes a Jedi Master when there are no Jedi Masters to train him! There’s no indication when this occurs, but it’s nice to know Nu’s archive will be preserved for Luke and (possibly) future generations. You can buy this issue of Darth Vader #10 in comic shops or digitally today.